Nicely design with Balinese touch – de Lodtunduh "Lost in Ubud"
deLodtunduh Villa was build on a small hill. Build by a perfectionist guy, whose do the design from the bottom to the whole landscape. 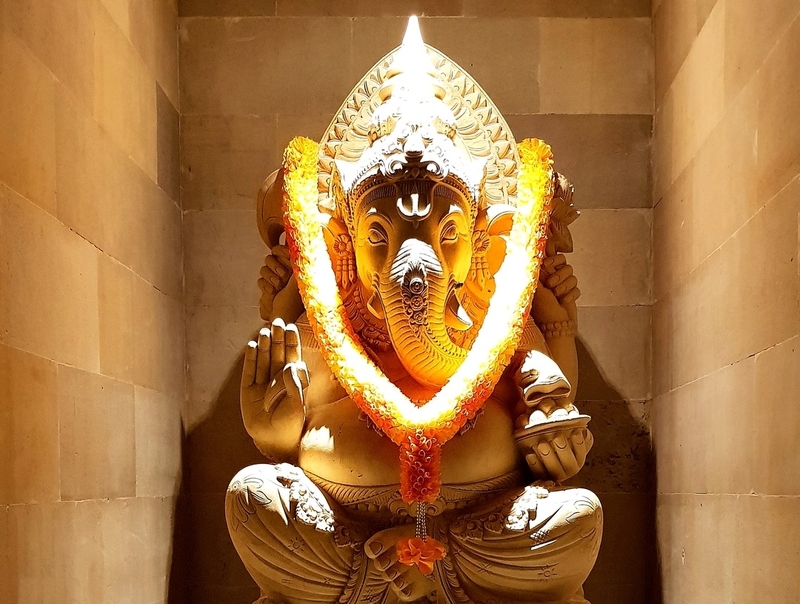 Just drive your car into the parking area, let the mighty Ganesha statue to welcome you and the tranquility begin…..
Look at our stair with nicely design made from natural stone with lightning build-in handrail, so don’t worry when you check in at night, we already prepare it. And on some occasion, we will add a decorative local flower just for you. At when you’re at the end of the stair, you’ll see beautiful Water Lily pond on the right side of the stair just to add more relaxing atmosphere to your mind.